We all long for restoration. We live in a culture that is consumed with fear that we aren’t good enough. Our fears make us worry about finding the right job, and keeping that job when we find it. We have fears about health and security, about finances and future. Its easy to be consumed by this mindset. Fear is sold all around us, it traps and consumes. Fear reminds us that we aren’t good enough, and that we must always be striving to be better. Even the church has at times promoted a gospel message that pushes guilt and brokenness rather than more redeemed qualities. Those of us who participate in faith communities often worry that what we are doing isn’t enough. We struggle and strain to feel like we’ve done enough. We panic while looking at declining church attendance and shifting demographics that suggest a dis-interest in organized religion. We worry about a church that is continually seen as judgmental rather than graceful, and we long for change to take place. The Psalmist was guilty of this same fear. In Psalm 80 we read “Stir up your might, and come to save us! Restore us, O God; let your face shine, that we may be saved”. Here was an admission of brokenness, and a need for God to intervene. The Psalmist is longing for strength and a return to prominence. Enemies are laughing at this once powerful kingdom, which now crumbles in ruins. It would be easy to draw parallels to many churches in our world today. But if we focus on our fears and worries, we forget that we are always on the verge of being redeemed – in fact, we have already been redeemed! We must move from our fear to a place of celebrating restoration. We have already tasted the Kingdom – God is moving whether we choose to join that movement or not. Our knowledge of this redemption points us toward a hope that it gets better. It is what gives us peace out of fear, joy out of our brokenness. As I sit and listen to college students considering their future, I watch them walk that dance between the terrifying reality of a complicated job market and the wide open possibilities of all that might happen ahead of them. It is a beautiful middle space to occupy – one that considers the broad complexity of what is to come. I expect that the ones who find the most fulfilling path are the students who are concerned less about finding long term security/finances, and concerned more with embracing the idea that they are ready to join God’s movement in the world. This is a shift in perspective that values the possibilities over the known reality. It takes incredible courage, but the reward is a deeper peace than the fear-driven alternative. That adjustment in perspective is what makes the Season of Advent so meaningful – a season where we are comforted with the reminder that we are all currently experiencing the arrival of a transforming savior. This savior was one who arrived to lift our fears, and to bring about a transformation of the dominant messages of fear in our world. Jesus doesn’t arrive with the promise of riches and safety, but rather about the experience of uncovering a deeper and more fulfilling peace. It is this transcending power that sets us free from our fear-based reality and offers us redemption despite our brokenness. It is what we all long for, though many don’t realize it. This is the savior that the Psalmist longed for – one to transform the landscape and bring about change. It probably looks different than that writer ever imagined (as Jesus’ upside-down Kingdom often does) but nevertheless it is our comfort and our peace today. 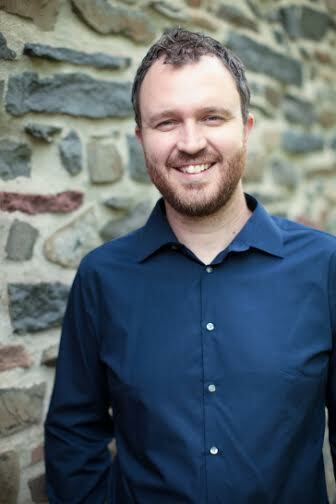 Ben Wideman is a campus pastor for 3rd Way Collective, a student ministry at Penn State University supported by University Mennonite Church. Ben lives in State College with his wife Meredith and their two girls. He is passionate about cycling, baseball, homebrewing, and issues of peace, justice, and faith.